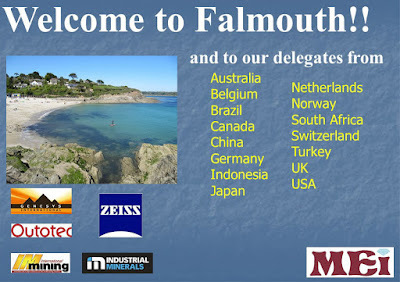 This was the 4th in the series of conferences previously known as Sustainability, Resource Conservation and Recycling (SRCR), and was held at the St. Michael's Hotel Falmouth, Cornwall, immediately following Biohydromet '16 at the same venue. The 2-day event was sponsored by Genesys International, Zeiss and Outotec, with media partners Industrial Minerals and International Mining. 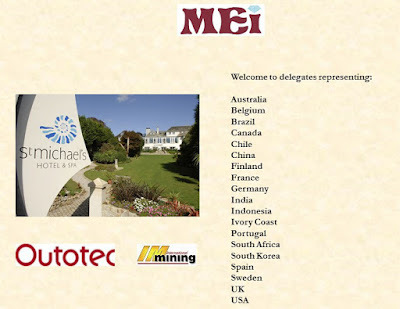 MEI consultant was Prof. Markus Reuter, Director of the Helmholtz Institute Freiberg for Resource Technology, Germany. I opened the conference this morning, welcoming the 48 delegates from 15 countries. We have been priviledged to recruit a very eminent keynote speaker to start the conference. Prof. Robin Batterham, Kernot Professor of Engineering at the University of Melbourne, was, until recently, Group Chief Scientist, Rio Tinto Limited, President of the Australian Academy of Technological Sciences and Engineering and Chairman of the International Energy Agency Expert Group on Science for Energy. Robin was Chief Scientist to the Australian Federal Government from 1999 to 2005. His keynote lecture "The mine of the future - even more sustainable" showed how sustainability is something that is ever important but not necessarily easy to progress. His presentation reflected his own sustainability journey of many years with a focus on the massive changes seen in the mining industry. Despite all the progress, many would see sustainable mining as an impossibility and this issue was addressed head on. He stressed that we will need mining for at least the next 50 years so we may as well be as sustainable as possible. The realities are that moving to higher levels of sustainability requires dedicated leadership, an understanding of the four pillars of sustainability and, interestingly, a willingness to take risks and innovate. He concluded by saying that mining in the future would be much different than today, and to a large extent invisible, with increased use of in-situ leaching of a wide range of minerals. Despite the economic downturn in the mining industry, technological innovations and emerging technologies are becoming increasingly available for rapid mineralogical and textural analysis of rock samples and drill core. Accurate mineralogical identification and systematic documentation can enhance deposit knowledge across the mining chain. From the earliest stages of mine-life, accurate mineralogical identification can also enhance environmental characterisation which traditionally utilises a range of wet chemical tests to predict acid generation and acid neutralisation. An enhanced understanding of both the ore and gangue mineralogy allows accurate prediction of the geoenvironmental characteristics of future waste materials. Nathan Fox of the University of Tasmania, Australia, presented examples of hyperspectral data for acid neutralisation capacity domaining from volcanic hosted massive sulphide and porphyry deposits. Cornish company Petrolab Ltd is a sponsor of MEI's next conference, Process Mineralogy '17, and Chris Brough showed how liberation analysis by automated environmental mineralogy can be used in the simulation of accelerated weathering, in order to predict, via humidity cell testwork, the long-term behaviour of future mine waste material. Resource efficiency is a policy concept that aims to maximize the supply of resource materials that can be drawn from a mineral resource with minimum waste production. It has become one of the major policy concepts to enable responsible development in mining. Following the coffee break Sebastian Spuerk, of RWTH Aachen University, Germany introduced a new method for multi-criteria evaluation of resource efficiency in mining operations and measures that consider intensities in land, water, energy and mineral deposit consumption. These resource intensities have been assessed for over twenty major copper mines. The use of metals is growing exponentially and Theo Henckens, of Utrecht University, The Netherlands asked whether this continuing growth of metal usage is sustainable in the long term. He concluded that the extraction of eight metal ores should be reduced by more than 50% compared to the present extraction rate in order to be sustainable. Mining legacies are often dominated by large waste facilities and their associated environmental impact: heavy metals and acid leakage via acid mine drainage. Interestingly, the toxicity of this leakage is partly due to the presence of valuable metals in the waste deposits and this paper shows that there is only a thin line between waste and ore. Eleonore Lebre of the Sustainable Minerals Institute, University of Queensland, Australia, discussed sustainable practices in the management of mining waste, focusing on prevention. The coal processing industry in South Africa produces large tonnages of ultrafine waste each year, which poses a local pollution risk and represents a loss of coal resources. Sue Harrison, of the University of Cape Town (UCT), presented an environmental performance assessment of froth flotation for coal recovery and sulfur removal from fine coal waste. Acid rock drainage poses a severe environmental risk, contributing to the non-sustainable nature of mining activities. While the quantification of the “worst case” risk for acid generation is relatively quick and inexpensive, investigating the time-frame of onset of acid generation and the potential for metal deportment and elevated salinity levels necessitate extended experimental durations of months to years. In a further paper from University of Cape Town, Alex Opitz described a study highlighting the effectiveness of using sequential chemical extraction geochemistry tests to identify the deleterious elements within a gold waste sample which has the potential for environmental risk. Furthermore, the amalgamation of test results with detailed sample mineralogy allows for identification of the host minerals and the potential conditions under which the identified environmental risk may be realised. The ability to gain this information over a short time period will inform the development of ARD mitigation and treatment strategies. Conference consultant Markus Reuter, of Helmholtz Institute for Resource Technology, Germany, discussed how the EU has recently adopted an ambitious Circular Economy (CE) package. This CE plan covers the whole cycle from production and consumption to waste management and the market for secondary raw materials. The action plan aims at "closing the loop" of product lifecycles through greater recycling and re-use, and envisages bringing benefits for both the environment and the economy. Recycling forms the heart of the CE system. Ultimately all products will have to be recycled at their End-of-Life (EoL). For these reasons, finding ways to maximise the recovery of materials from EoL products while at the same time lowering the environmental footprint of our collective existence and therefore lowering greenhouse gas emissions is a vital priority to a CE. Following the lunch break, Sue Harrison, of the University of Cape Town, explored the opportunities for soil-related applications of fine coal processing wastes in South Africa, where it is estimated that the coal processing industry produces more than 14 million tons of fine coal waste per year. As society moves towards a circular economy with a closed resources cycle, the importance of re-using and re-purposing large volume wastes is becoming increasingly recognised, and Sue discussed the potential applications of fine coal waste as raw material for constructed soils or as an additive to existing soils in the South African context. Rare earth elements are used in a range of renewable energy technologies, from wind turbines, to batteries, catalysts and electric cars, improving the performance and efficiency of these technologies. There are a range of geological settings that can form economic deposits of rare earth elements, and these have widely varying properties. To date there has been limited quantitative data comparing the environmental performance of these deposits during the exploration, construction and mining stages, through to the physical and chemical beneficiation, and the processing steps. Robert Pell, of the University of Exeter, UK, showed how a Life Cycle Assessment approach allows for a direct comparison between deposit types at each stage of the life cycle, highlighting differences and indicating whether sourcing rare earth elements from certain deposit types is innately more environmentally friendly. While mineral resources are not given explicit mention in the United Nations` Sustainable Development Goals (SDG), they are important in underpinning many of the targets. Minerals are vital to sustainable development, as both providers of the material infrastructure of society and as an important sector of the economy in many resource-rich nations. Ben McLellan, of Kyoto University, Japan, examined the historical and future mineral requirements and implications for sustainable development in scenarios that aim to achieve the SDG`s targets. Genesys International Ltd, UK is a new entry into the MEI fold, and we welcome their sponsorship of the conference. Genesys is an industry leader in the development and manufacture of speciality antiscalant and cleaning chemicals for Reverse Osmosis, Nano-Filtration and Ultra-Filtration membrane systems (posting of 14th March). Membrane technology has become widely used in various industries in recent years, but has been slow to be adopted in the ever conservative mining industry. One of the main advantages of membrane technology is that it works without the addition of chemicals and with relatively low energy use. Stephen Chesters of Genesys identified over 300 mines with potential to use membrane technology. There are sixty-one operational membrane plants and fifty-one of these have been commissioned in the last ten years, 65% of which are in gold and copper mines. In precious metal mines, waste water can be concentrated using membrane plant so additional metals can be recovered from barren liquor. Acid mine drainage is increasingly treated and then reused or sent off site as a potable supply to the surrounding communities. Waste electrical and electronic equipment (WEEE), including spent batteries, contain significant quantities of metals that can be recycled. Naomi Boxall, of Australia's CSIRO, described a study aimed at developing a novel process for recovering metals from spent lithium ion batteries using electrochemically produced acidic anolyte. Acid mine drainage (AMD) is often treated using active lime treatment, which generates a significant amount of sludge that contains mainly metal hydroxide precipitates, gypsum, and unreacted lime. Previous work has shown that sludge may have interesting geotechnical and geochemical properties, to be used, in combination with a silty soil, as a part of covers (oxygen barriers) to prevent AMD generation from waste rocks and tailings impoundments. In the final paper of the day Isabelle Demers, of Université du Québec en Abitibi-Témiscamingue, Canada, showed that the reuse of sludge can reduce the volume of natural soil required for site reclamation and that the soil-sludge mixture is an efficient oxygen barrier. Following coffee, the usual coast path walk took us to a special evening at the Chain Locker pub in old Falmouth, where we were joined by the regulars of the monthly Cornish Mining Sundowner (more photos on posting of 23rd June). We awoke this morning to a country polarised by the EU Referendum result, and there was a sombre mood at the conference, as most scientists appreciated the advantages of remaining in Europe. To say that interesting times are ahead is very much an understatement. Mike Battersby of Maelgwyn Mineral Services Ltd, UK, is a familiar face at MEI Conferences, and as a Director of the Coalition for Eco-Efficient Comminution (CEEC) it was a pleasure to invite him to give a keynote lecture to start off the final day. Mineral processing consumes up to 50% of the electrical energy on a mine site and optimised energy use is crucial to sustainable mineral processing. The CEEC has initiated a global study to benchmark comminution energy consumption across different mine sites that guaranteed anonymity of this comprehensive and previously undocumented mine-specific data. The comminution energy per unit metal produced is benchmarked and presented in a graphical form similar to a cost curve. The energy curve highlights the benefits of efficient energy utilisation as a cost saving by moving “down the curve” into more cost-efficient operating regimes. Application of the curves to sustainability in mineral processing were presented in Mike's talk, together with case studies. The end-of-life (EoL) electric and electronic equipment (EEE) or e-waste has been a problem for almost two decades. The global rates for formal e-waste treatment are estimated to be below the 20% mark, with the majority of EoL devices still ending up in landfills or processed in a rudimentary way, causing serious environmental and human health issues. A paper from Glen Corder of the Sustainable Minerals Institute, University of Queensland, Australia, critically reviewed the existing situation with e-waste in Australia. An investigation into material content in e-waste shows that metals account for about 50 wt%, with the major value associated with steel (41%), gold (23%), copper (19%), and aluminium (7%) which is over USD400 million in total. In Kvalsund, Northern Norway, a permit for submarine mine tailings disposal in the fjord, Repparfjorden was recently issued for a copper mine with expected operation from 2019. A copper mine was active in the same area in the 1970s and also deposited mine tailings in the fjord. Investigations of the metal binding in the historic and new mine tailings (produced from bedrock in the area) has been undertaken in a study described by Kristine Pedersen of Akvaplan-niva AS, Norway, which indicates that there is potential for extracting more Cu from the new mine tailings. As acid mine drainage is such a severe environmental problem, Guzide Kalyoncu Erguler of the Mineral Research & Exploration General Directorate, Turkey, argued that, in order to provide sufficient representative data for developing restoration techniques, this time-dependent geochemical process should be investigated based on kinetic principles. The oxidation reactions of some sulphide mineral mixtures can generate self-heating which, if not controlled, can lead to workplace disruptions, creation of hazardous environments, and potential risk to infrastructure and human safety. Effectively reducing or delaying the oxidation process is one approach for dealing with these risks. In the first paper after the coffee break, Frank Rosenblum, of McGill University, Canada, discussed a study which focused on identifying and testing chemical treatments which have the potential to supress or block the chemical reactions which lead to self-heating. The use of selective comminution is often an essential requirement for pre-concentration processes, as early upstream separation has proved to be most efficient. Stoyan Gaydardzhiev showed how comparative comminution tests involving classical shredding and Electro Dynamic Fragmentation (EDF) technology have been carried out with the aim of evaluating the liberation degree of EoL printed wiring boards. Grinding by shredder did not bring selective fragmentation in the sense that the fractures induced in the material showed virtually no correlation with the underlying texture. A natural tendency towards liberation along material boundaries is more pronounced when EDF is applied with the purpose of delaminating the multi-level structures. Movement of raw materials can be one of the most challenging tasks in open pit mining, with truck transportation representing the largest factor in mining costs and resulting in major greenhouse gas (GHG) emissions. In a study presented by Tobias Braun of RWTH Aachen University, Germany, the transportation methods of bulk materials within German hard-rock open pit mines were investigated. The results showed that 90% of the operations use truck-based transportation methods, with the remainder relying partly or completely on continuous conveyor-based systems. The installation of continuous conveyors compared to trucks represents a real alternative because of reduced dead load, increased safety, reduced GHG emissions and in many cases even reduced costs. Thus, sustainable technology substitutions exist for in-pit haulage in quarries that are yet to be adopted by the German quarrying industry. Slags produced from copper smelting are siliceous containing valuable metals such as Cu and Fe as well as deleterious elements such as As and Sb. Courtney Young, of Montana Tech, USA, described a carbothermal recovery process which has been developed to separate the valuables from the silicates thereby producing value-added products and simultaneously reducing environmental concerns. Raglan mine ore is treated for beneficiation of Ni using the flotation process. The concentrator produces acid generating tailings containing pyrrhotite closely-coupled to a serpentine gangue. Tailings are filtered before deposition at the surface with the objective of integrating the material in the permafrost. Mostafa Benzaazoua of Université du Québec en Abitibi-Témiscamingue, Canada, showed how partial desulphurization of total tailings produced at the end-circuit was investigated to assess the option of using desulphurized material as a component of a cover to control AMD generation. The effectiveness of the cover was the subject of one of the conference's associated poster presentations. The mining industry is globally criticized for generating large amounts of solid wastes often with a potential environmental impact. Yassine Taha, of Université du Québec en Abitibi-Témiscamingue, Canada, presented the first paper of the final session, with a study on the recycling into clay bricks of different types of mine wastes, from calamine processing, coal and phosphates industries. Process water from mineral processing plants may contain a significant amount of dissolved metal ions, which may be recycled as process water, or discharged into the environment as effluent. If they are discharged into the environment they may cause significant problems for the local flora and fauna. Hao Ma, of McGill University, Canada, described one method of removing metal ions from aqueous systems which has generated considerable interest over recent years, the emulsion liquid membrane technique, which incorporates solvent extraction and stripping. Gold mining had a prominent place in the South African economy for over 120 years and its fall in production and imminent resource exhaustion has come with extensive environmental problems. The disruption of land to allow for extraction of valuable minerals has caused hydrological pollution side-effects such as acid mine drainage (AMD). Palesa Diale, of the University of the Witwatersrand, showed that iron (Fe (II)) was found to be the most dominant dissolved heavy metal in the West Witwatersrand Basin where extensive gold mining takes place. Effective removal of Fe (II) will be important in controlling the consequence AMD contaminating water streams. Indigenous microalgae is a potential long term, sustainable and environmentally friendly remediation solution, due to its significant influence on AMD. It not only can actively remove toxic heavy metals from contaminated water streams and improve its pH levels, but also non-toxic sludge is not formed. The study therefore looked at the efficacy of using immobilized green microalgae (Desmodesmus sp.) with the key focus on the mechanism, equilibrium and kinetics in achieving the removal of Fe (II) from aqueous solutions. The most common acid rock drainage (ARD) remediation strategies result in neutralization of the waste water, precipitation of the majority of heavy metals and the reduction of the sulphate load. However, the residual sulphate concentration still exceeds the discharge specifications. In a further paper from South Africa, Rob Huddy, of the University of Cape Town, discussed the biological sulphate reduction process as an alternative and potentially more sustainable option to reduce the high sulphate load, precipitate heavy metals and neutralise the treated ARD effluents. A significant portion of the electrical and electronic waste (WEEE) generated is disposed into landfill sites or incinerated. Considering the annual 5% increase in global ewaste production projected from 41.8 million tonnes in 2014, the extraction and recovery of valuable metals from WEEE is necessary to contribute to the circular economy while minimizing the environmental burden. In the final paper of the conference, Elaine Govender-Opitz, of the University of Cape Town, showed that biohydrometallurgy can play a key role in the recovery of base metals from WEEE and its preparation for further recovery of gold and PGMs. Elaine's presentation concluded what has been a fine conference. University of Cape Town's Prof. Dee Bradshaw felt that the quality of young person's presentations had been outstanding, which gave her great hope for the future. MEI Consultant Markus Reuter summarised what had been achieved over the two days and what should be discussed at the next conference, emphasising the strengthening link between this and the preceding Biohydrometallurgy conference. More details on this will be published in a few weeks' time. MEI's Amanda Wills then closed the conference, thanking the sponsors, and all delegates, particularly the chairmen and presenters (see timetable), and then invited everyone to Sustainable Minerals '18, which is hoped to be held in Windhoek, Namibia, in June 2018 in conjunction with Biohydromet '18. The conference draft papers are available from MEI and authors have been invited to submit their final papers to Minerals Engineering, for a special Sustainable Minerals issue which will be published early next year. A full set of conference photos is also available from MEI. Last Wednesday night I attended a WIM (UK) speed mentoring event, the first such event to be held in the UK outside of London. 18 women and 2 men met to network and enjoy a 3-course dinner at the Princess Pavilion, Falmouth, Cornwall. The cards show the table names! 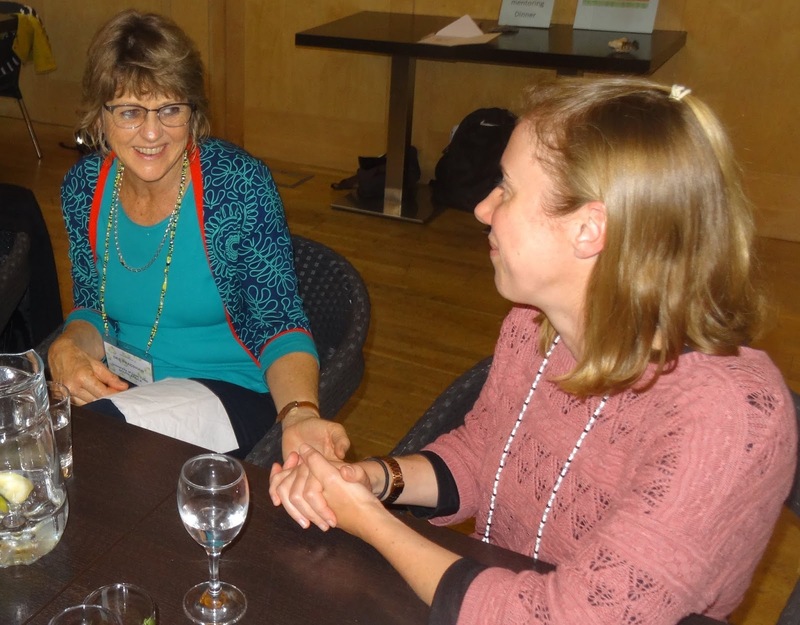 WIM(UK) speed mentoring evenings are designed to provide the opportunity for mentees to meet with mentors over an informal dinner to discuss their professional development goals and aspirations. In our case, we had two mentors per table, with four mentees joining them. The mentees then swapped tables at the end of each course, giving them the chance to meet and talk with all the mentors. As one of the mentors, I was happy to find myself sat opposite my fellow mentor, Caroline Digby of the Centre for Sustainability in Mining and Industry at the University of the Witwatersrand in South Africa ,and we were joined for our starter by Victoria Lowe, who is currently working as a process plant operator at Wolf Minerals at Drakelands on their graduate scheme, and Olivia Johnson, who also works at Drakelands, as an ore quality geologist. Caroline gave us an interesting insight into how the recent EU referendum in the UK is being viewed in South Africa, as well as being able to talk about the current state of South Africa's mining industry. It was very interesting to hear from Victoria and Olivia how Wolf Minerals' Drakelands mine is developing. 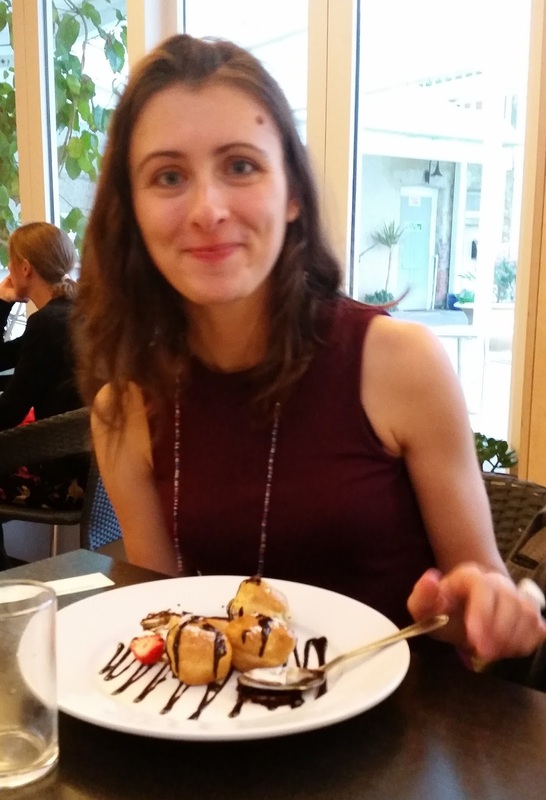 Once we moved on to our mains, Caroline and I were joined by Holly Elliot, a research fellow at CSM, and Kathryn Hadler, a lecturer in minerals processing at Imperial College London, and conversation moved on to how to maintain your career whilst starting a family. For dessert we were joined by Narina Shorland, of Wardell Armstrong, and Eleonore Lebre, a research student at the Centre for Social Responsibility at the University of Queensland's Sustainable Minerals Institute. We all agreed that we'd had a great evening and plans are now forming for our next WIM(UK) event in Cornwall. Biohydromet '16 was the 8th International Symposium on Biohydrometallurgy organised by MEI with consultants Prof Sue Harrison, Dr Patrick d'Hugues and Dr Chris Bryan and it was sponsored by Outotec, with International Mining as media partner. 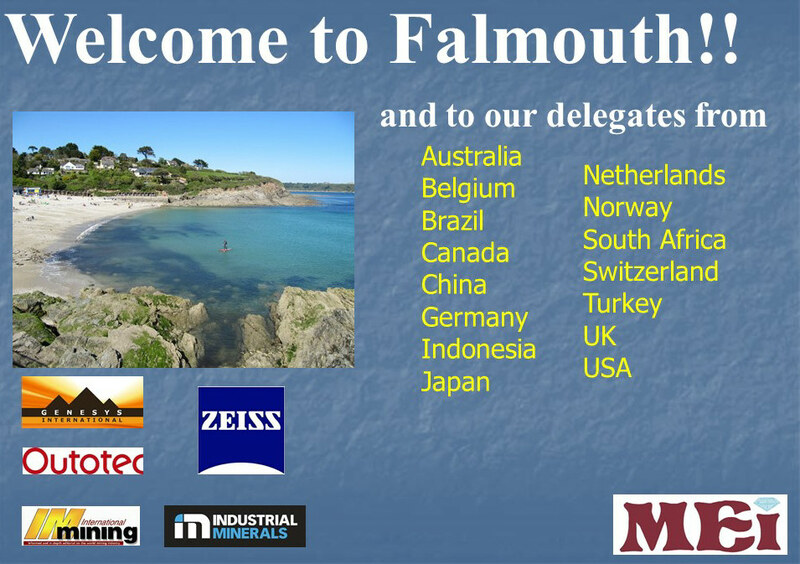 MEI's Jon Wills opened the conference this morning, welcoming the 65 delegates from 19 countries to the St. Michael's Hotel, Falmouth. The technical sessions then got underway with a keynote presentation from Frank Roberto of Newmont Mining Corporation USA, who discussed the commercial heap biooxidation of refractory gold ores, revisiting Newmont’s successful deployment at Carlin, the parameters that influenced performance of the on-off heap biooxidation process, and factors that led to the discontinuation of the operation. The potential for in-situ bioleaching to extract metals from deep-buried sulfide ores via the BioMORE concept was the subject of a recent MEI blog posting and in the second paper of the day Eva Pakostova, of Bangor University, UK, described the BioMOre design concept, and presented data from experiments in which a polymetallic ore (Talvivaara, Finland) and copper-rich kupferschiefer (Rudna mine, Poland) have been subjected to indirect bioleaching under laboratory conditions. Results confirm the possibility of using such an approach for deep in situ biomining of base metal ores. As explained by Jarno Mäkinen of VTT Technical Research Centre of Finland, uranium ores occasionally contain remarkable concentrations of phosphorus minerals. and although phosphorus is a valuable element, it is easily lost in traditional uranium processes; moreover it can disrupt the uranium recovery. Jarno showed how bioleaching was utilized to recover uranium and phosphorus separately from an artificial uranite-fluorapatite ore and the potential for winning both uranium and phosphorus from complex, impure ores, increasing their value and utilization possibilities. Following the long coffee break, giving delegates time to talk informally, Sarah Smith gave the second Bangor University paper of the morning. She explained how the world-wide demand for cobalt is increasing significantly as a result of its use in electronics, chemicals and super-alloys for example, and lack of suitable alternatives necessitates the development of novel cobalt extraction and recovery technologies. Sarah discussed the oxidative and reductive bioprocessing of cobalt bearing ores, and the recovery of cobalt minerals via biosulfidogenesis. Bioleaching of metal sulfides in a presence of chloride is still very problematic but Marek Kaszuba, of TU Bergakademie Freiberg, Germany, showed how leaching is possible with Ferrimicrobium acidiphilum. High voltage breakage (HVB) has the ability to pre-weaken ore by inducing micro-fractures along grain boundaries. It has been suggested that there may be beneficial effects on mineral leaching via improved grain accessibility using HVB over mechanical comminution alone. Conference consultant Chris Bryan, of the University of Exeter, reported on the first ever investigation of the effect of HVB on bioleaching, discussing the work, carried out in collaboration with Swiss company Selfrag AG, in the context of energy input, breakage mechanism, ore permeability and potential disruption of galvanic interactions. The University of Cape Town (UCT) has five presentations this week, all co-authored by MEI Consultant Sue Harrison. In the first of these papers, Elaine Govender-Opitz showed how recent studies of microbial growth within heap leaching systems have found higher microbial populations associated with the mineral (interstitial liquid and ore phases) than in the bulk flowing pregnant leach solution. However, little information on microbial growth rates on low-grade whole ore during the start-up phase of heap and column leaching is available. Recent work at UCT has extended the knowledge base of growth and activity of mesophiles on low-grade ore in a simulated heap bioleaching environment. Microorganisms with importance to mineral biotechnology are commonly maintained through subculturing, which can be labour intensive and expensive. Subculturing can also result in contamination, genetic drift and loss of traits or whole strains. In the final paper before lunch, Naomi Boxall, of CSIRO, Australia, presented results of a study aimed at determining the best method for the preservation of mixed microbial cultures capable of bioleaching chalcopyrite under salt stress. The afternoon session commenced with a second paper from the University of Cape Town. Microbial colonization of mineral ore is critical in efficient mineral solubilisation for metal recovery via biohydrometallurgy. Didi Makaula described the use of isothermal microcalorimetry to measure the metabolic activity of the mineral-associated microbial community in bioleaching. This was followed by three papers from Germany. Simone Schopf of TU Bergakademie Freiberg discussed comparative genomics on Acidithiobacillus ferrooxidans, and Sabrina Hedrich of Federal Institute for Geosciences and Natural Resources discussed the development of molecular assays to efficiently monitor and quantify microbial species during bioleaching of copper-rich ores. In the final paper of the day Fabian Giebner, of TU Freiberg, discussed the toxicity of leaching additives on the respiration activity of Acidithiobacillus ferrooxidans. Following afternoon coffee, our usual coastal path walk gave everyone a chance to unwind, ending with a convivial atmosphere in the Chain Locker pub in old Falmouth (more photos on posting of June 20th). The merger of the BIOX, ASTER and HiTeCC technologies with Outotec Finland was completed in November 2015 (MEI Online). This was a significant step for the three technologies as the technologies are now owned by Outotec, a company that is focused and driven by the delivery of bespoke cutting edge solutions to the mining industry. Outotec is the conference's major sponsor and this morning's keynote paper was given by Jan van Niekerk, Senior Manager of BIOX, Outotec South Africa. The paper focused on three main points: 1. An update on the status of the current operating BIOX and ASTER plants; 2. Feedback on the progress with the commissioning of the BIOX and ASTER plants and the Runruno Gold Project in the Philippines; and 3. The expanded technology and equipment offering being developed by Outotec. The use of oxygen is a well-known practice in high-temperature bioleaching reactors, whereas air is usually preferred in medium and low-temperature operations due to economic constraints. Under high-sulphide loading conditions, as is the case with high-grade metal sulphide concentrates, the microbial and chemical demand for oxygen is significantly increased during the bioleaching process, which requires the injection of large amounts of air and thus increases the energy costs of the process. Anne-Gwenaelle Guezennec, of BRGM, France, showed how sparging with oxygen enriched gas instead of air may offer an interesting alternative process option to improve gas transfer in the bioleaching reactor and to provide an adequate oxygen supply in order to satisfy the oxygen demand. Stoyan Gaydardzhiev, of the University of Liege, Belgium, discussed the role of solution potential on the reductive leaching of Co(III) from oxide ore in the presence of mesophilic bacteria and added pyrite, suggesting a flowsheet encompassing ferrous/ferric iron cycling supported by bacteria/pyrite interaction as a means to control solution redox potential. The dissolution of mineral sulfide concentrates in bioreactors at 45 to 55°C is more rapid than at lower temperatures. While it is not as rapid or efficient as at higher temperatures, it utilizes moderately thermophilic bacteria that remain active at solids concentrations that inhibit extreme thermophiles. Paul Norris, of the University of Exeter, UK discussed factors that could be used to select the most useful bacteria for copper and nickel concentrate processing at temperatures above 50°C. Finland has several mineral deposits where gold is the main commodity. Finnish gold ores are often refractory, requiring pretreatment prior to cyanide leaching to enhance gold recovery. Sarita Ahoranta, of Tampere University of Technology, Finland showed how bio-oxidation is a commercially viable pretreatment method that improves gold availability to cyanidation, resulting in savings in the overall process. Susan Reichel, of G.E.O.S. Ingenieurgesellschaft mbH, Germany, then discussed how lithium can be recovered from lithium-containing micas using sulfur oxidizing microorganisms. In another paper from Germany, Sophia Kostudis, of the Helmholtz Institute Freiberg for Resource Technology, explained that the European Kupferschiefer deposits constitute a challenging local resource of base metals such as copper. She summarised research results on bioleaching of copper from Kupferschiefer ore in neutral to alkaline environments. Biooxidation is a technology employed for pre-treatment of refractory gold concentrates prior to cyanidation. Biooxidation utilises a microbial community to regenerate pyrite-leaching agents, thereby liberating gold for extraction. Historical process upsets suggest that the microbial community is sensitive to thiocyanate (SCN-) at concentrations as low as 1 mg/L. Catherine Edward, of the University of Cape Town, described a study focusing on Acidithiobacillus caldus, a predominant sulphur oxidiser within the biooxidation community, and its tolerance to elevated concentrations of SCN- (> 1 mg/L). In the final paper of the morning, Chris Bryan, of the University of Exeter, discussed the microbial ecology and solution chemistry of interstitial and flowing liquid phases during the bioleaching of a low-grade sulfide ore. Following lunch were 5 papers, from China, Portugal and Spain. Mingjian Zhang of the General Research Institute for Nonferrous Metals, China, showed how the collaborative bioleaching of chalcopyrite by Alicyclobacillus and acidophiles could increase the efficiency of the acidophiles. The north-central part of Portugal has a promising potential in lithium ores from pegmatites and aplite-pegmatites that have been exploited solely for the production of quartz and feldspar. Bioleaching of lithium ores or concentrates seems to be an interesting process, although little is known about this subject. Cristina Vila, of the University of Porto, described preliminary exploratory studies on the bioleaching of a pegmatite lithium ore from the Gonçalo area. This was followed by two papers from China's Central South University. Jin-Lan Xia described a study on microbe-mineral interaction and their molecular mechanism based on synchrotron radiation techniques and then presented results on a comparative study of S, Fe and Cu speciation transformation during chalcopyrite bioleaching by mixed mesophiles and mixed thermophiles. In the final paper of the day Cristina Povedano-Priego, of the University of Granada, Spain, presented work on the fungal biomineralization of pyromorphite and cerussite on the surface of lead metal, showing that fungi contribute, together with abiotic factors, to the biomineralization of pyromorphite, a very stable form of lead useful for the bioremediation of lead contaminated sites. Following coffee, I gave a briefing on the Cornish mining history, before coaches took us into the heart of the historic Camborne-Redruth tin and copper mining district, for a look around the ruins of the 19th century workings, followed by a very informal buffet meal at the Heartlands heritage site (more on the posting of 21st June). The final day of the conference dealt with environmental aspects, intending to overlap with the Sustainable Minerals '16 conference that follows tomorrow. In the first paper Ana Santos, of Bangor University, UK, discussed acid mine drainage, one of the most important problems affecting mining companies around the world, and the potential for remediation of acidic metal-rich waste waters using sulfidogenic bioreactor sustained by algal biomass. Acidic waters draining active and abandoned mines are usually rich in sulfate which can complex aluminium to form oxy-hydroxysulfates, which are toxic to many organisms. Carmen Falagan, also of Bangor, presented results on a study aimed at testing the hypothesis that it is possible to remove aluminium from contaminated acid waters via biosulfidogenesis. As discussed by Alex Opitz, of University of Cape Town, the rate of acid rock drainage generation is exacerbated by the regeneration of lixiviates by iron- and sulphur-oxidising micro-organisms. Microbial action is excluded from current ARD characterisation and prediction methods. The recently developed UCT biokinetic test provides initial rate information on acid neutralising and acid generating behaviour of waste samples under microbially-mediated conditions. To date, a mixed mesophilic culture containing iron- and sulphur-oxidising micro-organisms in a non-microbially limited environment has been used to study the ARD generating behaviour of waste samples, the findings indicating potential configuration of waste coal dumps. Shafiq Alam, of the University of Saskatchewan, Canada, then took us to the coffee break with a paper discussing the treatment of mine-site polluted water through biosorption. Waste materials from metal mining, such as mineral tailings, often contain significant amounts of potentially valuable metals, particularly where, as in many historic operations, the efficiency of flotation technologies used to concentrate target minerals was not as great as at present. In a 3rd paper this morning from Bangor University, Carmen Falagan discussed new approaches for recovering metals from such mine wastes. Continuing with this theme, Shreya Ghosh of Siksha O. Anusandhan University, India, showed how manganese recovery from mining waste can be enhanced by using a mixed culture of indigenously isolated bacterial strains. Pyrometallurgical processes for sulfide concentrates produce slag that contains metals as carry-over impurities. Anna Kaksonen, of CSIRO, Australia, showed how varied quantities of the metal content can be solubilized from the slag through chemical or bioleaching. Production of high grade steel also generates vast amounts of slag, which is a potential source of valuable elements such as vanadium, and Viktor Sjöberg of Örebro University, Sweden, discussed work on the bioleaching of steel slag for metal recovery. In the final paper of the morning Axel Schippers of BGR Hannover, Germany showed that there is economic potential for reprocessing copper mine tailings in Chile. Anita Parbhakar-Fox, of the University of Tasmania, presented the first paper of the final session on a study aimed at evaluating if reprocessing is a viable option for managing the historic Old Tailings Dam in Western Tasmania. The dam contains 38 Mt of pyritic material, and is actively generating acid and metalliferous drainage. Consequently, the water quality of the adjacent Savage River has been impacted, with elevated copper relative to international drinking water standards measured downstream. Several processing options have been evaluated including bioleaching. Danilo Borja Padilla is from Equador, and is currently doing an MSc at the Chonbuk National University, Republic of Korea. He presented work on the continuous tank bioleaching of mine tailings, containing high amounts of arsenic, by a mesophilic bacterial culture. As explained by Michael Schlömann of TU Bergakademie Freiberg, Germany , some bacteria are able to live in the presence of arsenic, because they have different mechanisms to deal with the toxicity of this metalloid. She discussed a screening assay on siderophore production and extraction, developed to evaluate the capacity of metabolites formed to bind arsenic. Coal waste generates much acid mine drainage, so reducing coal waste storage by finding new uses for the waste is attractive. Beatriz Firpo, of the Universidade Federal do Rio Grande do Sul, Brazil, showed how coal waste can be used as one of the components of plant growing medium, namely fabricated soils, cultivated with Panicum maximum. Following this final paper of the conference, MEI consultant Sue Harrison, of the University of Cape Town, summarised the event. She circulated a questionnaire asking delegates what were their personal highlights of the conference and what would they like to see more emphasis on in the next conference. We will publish the results of this survey soon. ME's Amanda Wills closed the conference, thanking the sponsors, and all delegates, particularly the chairmen and presenters (see timetable), and then invited everyone to Biohydromet '18, which is hoped to be held in Windhoek, Namibia, in June 2018. The conference draft papers are available from MEI and authors have been invited to submit their final papers to Minerals Engineering, for a special biohydrometallurgy issue which will be published early next year. A full set of conference photos is also available from MEI.